This page is about the national and international organizational structure of Petanque. At the highest level are the international organizations, e.g. the FIPJP. Below the FIPJP are the continental confederations, e.g. the Pan-American Confederation. Below them are the national federations, e.g. the FPUSA or FFPJP. Below them are the regional organizations. Below them are the individual local clubs. See also links to organizations that host copies of the rules. FIPJP Fédération Internationale de Pétanque et Jeu Provençal — the International Federation for Pétanque and Jeu Provençal — is the international governing body for petanque. Its web site is www.fipjp.org. For information about its history, see our blog post The birth of pétanque. CIEP The Centre International d’Enseignement Pétanque, International Center for the Teaching of Petanque, the training arm of the FIPJP. For more information, visit our CIEP page. CMSB Confédération Mondiale des Sports de Boules – World Confederation of Boules Sports – is the organizational interface to the Olympic committee for “boules”-type sports, including Petanque, lawn bowles, and bocce. For more information, visit our CMSB page. There is an FIPJP organizational level between the international level (the FIPJP proper) and the national level. This is the level of continental confederations. Every national organization is a member of a continental confederation, which in turn is a member of the FIPJP. 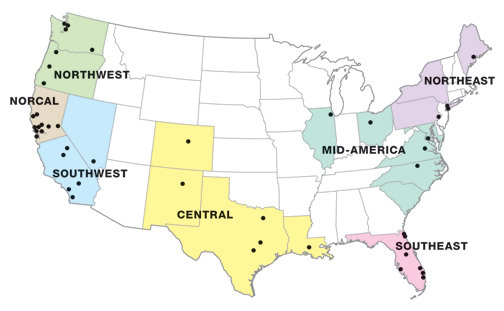 National federations were first organized into continental confederations in 1999. Organizing participation in the FIPJP World Championship around the confederations began in 2009. There are five continental confederations— Europe, Asia, Africa, Pan-America, and Oceania. Each confederation is allotted a quota of the number of teams that it can send to the FIPJP world championships. For the men’s singles championship in Nice in January 2014, the quotas for the confederations were: Europe (18), Asia (4), Africa (6), Pan-America (2), Oceania (2). To choose the teams that they will send to the world championships, the confederations organize (possibly in conjunction with other competitions) competitions called “confederation cups”. With 37 member nations, the Confédération Européenne de Pétanque (CEP) is the largest and most active of all of the continental confederations. It was formed in the mid 1990’s to organise petanque events and to promote the sport of petanque across Europe. When the FIPJP introduced the continental confederations in 1999, the CEP was the natural organisation to take step into the role of the continental confederation for Europe. The Pan-American Pétanque Confederation (Confederation Pan-Americaine de Pétanque, CPP) is the continental confederation for North America, South America, and Central America (including the Caribbean islands). Although the Confederation lists nine national federations as members, only two or three (Canada, USA, Mexico) are really active. The Pan-American Petanque Association was originally created in 1962 by Jean Bontemps. It evolved into the current continental confederation in 2009 with the first Pan-American Cup being held in September 2010 in Laval, a suburb of Montreal. One of the more interesting confederations is the Asian Petanque and Sports Boules Confederation (APSBC), established in 1997. The founder member countries are Cambodia, Israel, Japan, Lao PDR, Malaysia, Mauritius, Seychelles, Singapore, Thailand and Vietnam. For a good overview of Asian petanque organizations, see the Jakarta Petanque Club’s page on Asian petanque. See also our post on the interesting story of Petanque in Thailand. The FFPJP — the Fédération Française de Pétanque et Jeu Provençal — is the French national Petanque Federation. “Boule lyonnaise” developed around Lyon in the 18th century. In 1906, the Fédération Lyonnaise et Régionale was created, which led to the creation of La Fédération Nationale des Boules in 1933, which in turn became the Fédération Française de Boules in 1942, and then the Fédération Française de Pétanque et Jeu Provençal in 1945. The FPUSA — the Federation of Petanque U.S.A. — is the official governing body of the sport of pétanque in the United States. Its web site (usapetanque.org) provides information about the organization, its regions, clubs, and tournaments. The FPUSA blog is still accessible, but has not been updated since 2014. Some high-level information about the FPUSA is available on the American Petanque web site. The FPUSA was founded in New York City in 1973, but only became a truly national organization in 1986 when it merged with a rival organization, the American Petanque Association. Today the FPUSA is a small all-volunteer organization. Like many small all-volunteer organizations, it might be described as “struggling”. It has been known occasionally to have problems maintaining its web site; email messages have been known to go unanswered. The stronger FPUSA clubs have been successful in organizing and hosting regional and national tournaments. Although some FPUSA clubs have shown dramatic growth, national membership numbers have not changed significantly over the last decade. As of December 2015 the FPUSA had just about 2100 individual members organized in 52 clubs in seven regions. The first petanque club in the UK was founded in Essex in the mid-1960s. Interest in the game grew and the British Pétanque Association (BPA) was founded in 1974. In 2004, the BPA dissolved and was replaced by national associations for England, Ireland, Scotland, and Wales, along with a new umbrella organization called the British Pétanque Federation (BPF). In 2007, the BPF was dissolved except for the British Pétanque Umpires Board, which was retained to insure consistency of training and accreditation for umpires throughout Great Britain. To find petanque events in the UK, visit the UK Petanque Portal or visit the web sites of the national federations. Both countries have national federations— Pétanque Federation Australia (PFA) and Petanque New Zealand (PNZ). PNZ is an especially strong club. They are members, along with New Caledonia, Polynesia, and Vanuatu, of the Oceania continental confederation. In Canada petanque exists only in French-speaking Quebec. The Canadian federation is Pétanque Canada. Its web site is www.petanquecanada.com and it has a Facebook page. For information, send them a message via Facebook or go to their website and follow the links for À propos de nous and then Contact. The Federactión Española de Petanca (Spanish Petanque Federation) has both a web site (where you can find a Spanish translation of the international rules) and a Facebook page. The Federación Mexicana de Petanca became an FIPJP-affiliated national federation in 2011. It has a Facebook page. The FMP consists of a single club, Lunes de Petank, located in Ensenada (a town on the Pacific coast about 80 miles south of San Diego) where it holds an annual tournament every May. For information about clubs in other cities, contact Lunes de Petank. Federación Franco-Mexicana de Petanque is an abandoned Facebook group. To find a petanque club in any country, visit the petanque club search page.